AT THE BEACON GROUP OF ASSANTE FINANCIAL MANAGEMENT LTD., ENSURING THE SECURITY OF ASSETS ENTRUSTED TO US BY CLIENTS IS A KEY PRIORITY. IT GOES HAND IN HAND WITH OUR MISSION – TO HELP CREATE WEALTH, PROSPERITY, AND CONFIDENCE FOR CANADIAN FAMILIES. Our commitment to you and your family is our biggest priority. We are responsible for providing you with advice and reporting that is clear and tailored to your individual wants. Each family’s complexities require specific specialized solutions and resources. Our specialists build your tailored plan and collaborate with your professionals to help implement. Our unique approach begins with your vision, exposes the dangers, and utilizes your strengths. We implement systems that aim to achieve your wants while benchmarking your progress. Our Financial Advisors are here to help you get more. 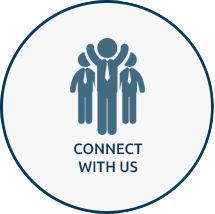 We accomplish this by working closely with the other members of your team — your lawyer and accountant, for example. Our Financial Planners implement The Lifetime Approach system to help anticipate and design effective transitions from nesting to resting. These all form part of unique processes created to provide a simplified integrated approach towards achieving our select clientele’s wealth management goals. Investment products today – strive to create and protect wealth. In spite of this, increasing risk, volatility and the capability to deal with it has challenged investors using traditional asset allocation systems. The Calgary-based Beacon Group at Assante Financial Management Ltd. integrates The Asset Matrix Risk Management System into our planning. Effectively, this reduces the chances of suffering significant losses during periods of volatility, thus protecting assets and your confidence. Having true wealth not only presents opportunities, it also presents a multitude of complex challenges. Whether you are enjoying significant profits in your business or farm, have become the beneficiary of a sizeable estate, are about to liquidate major personal, business or farm assets, planning to sell your business or farm, or want to explore a more integrated strategy to managing your wealth – we invite you to talk with us. At The Beacon Group of Assante Financial Management Ltd. we approach your financial health as a complete plan and work as a team to ensure you get the best. A comprehensive approach to integrating your visions, strengths, and assets into a systematic process that navigates your family’s course. A confident retirement ensures that we can live comfortably for the rest of our lives without ever having to worry about running out of money. Designing your legacy addresses the risks of predators and creditors and the capability of our beneficiaries to deal with significant inheritances. Making smart choices with your business creates significant prosperity, wealth and legacy. Tax planning by design means keeping more of the money you worked hard for, in your pocket. Personalized investment approach that matches your desire for growth while protecting your capital in down markets. Excesses and shortfalls can be detrimental to your family’s life goals. Significant life events are often predictable but the timing is not. A proactive approach takes care of the financial impacts so you can focus on the things that matter most.